Our local electric company, Seattle City Light has announced a 5.6% average rate increase for 2017. One of the many complex drivers of this rate increase is that demand for residential electricity is not keeping pace with our local growth, and so their revenue forecast is not being met. *Seattle homeowners are doing a great job at being energy efficient! In addition to LED bulbs, one of the most dramatic reductions in residential electric use has come from the conversion of Seattle homes from baseboard and wall heating (aka electric resistance heat), to electric ductless heat pumps. Seattle City Light estimates an average cost of $1,436 per year to use baseboard heat or an electric furnace, vs. about $500 with a ductless heat pump. The experts, including EnergyStar, concur that ductless heat pumps will save 40-50% or more vs the cost to use electric resistance heat. This is why your friends, family and neighbors are thinking out of the box and talking to Fox Plumbing & Heating to help them make the switch. The secret to heat pump efficiency can be boiled down to where the heat comes from. In the baseboard heater, the source of the heat is electricity that maintains the hot coils. 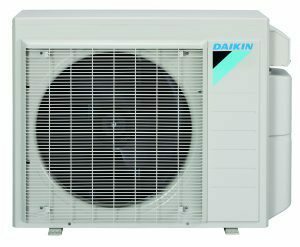 Whereas, the ductless heat pump pulls heat from the outside air, transfers it into the house and blows it into the room, using only a little bit of electricity to run the heat pump. To learn more about ductless heat pumps or get an estimate for installation from our HVAC specialists, call Fox Plumbing & Heating Today!